This week, we highlight the remaining three finalists. The first facility is NHC Parklane, located in Columbia, SC. All of their full time Physical Therapists are geriatric certified specialists, which we think is awesome! We loved the fact that the PTs and PTAs work in teams to provide patients with the "highest quality, comprehensive care" to their patients. For more information on their clinic, visit www.nhcparklane.com. The next finalist is South Aiken PT, located out of Aiken, SC! 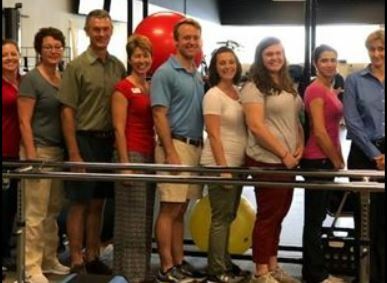 We loved how their therapists were focused on a team environment to “empower (their) patients towards repair, restoration, rejuvenation and accomplishment of their goals”. South Aiken made a point to note that they focus on educating their patients, which we loved to hear! Also, their focus on “form over reps” was refreshing to see. Check them out at www.southaikenpt.com. 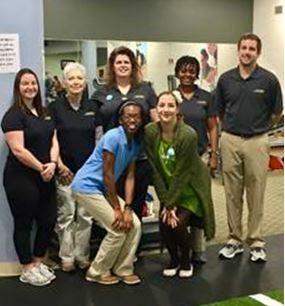 The last finalist is ProMotion Rehab and Sports Medicine, located in Florence, SC! Visit them at http://www.promotionsportsmed.com/. Their focus on manual therapy and one on one patient to therapist care was a beautiful sight to see. ProMotion also doesn’t neglect the evidence based treatment methods, with focus on research, education, and clinical outcomes. Their Lake City location has a full-service fitness center that their patients may use after their therapy has finished, and you can’t overlook their 40’x15’ synthetic turf for the athletes they treat! Congratulations to our finalists for making it to the top 5! SCAPTA is delighted to be in partnership with the Institute of Advanced Musculoskeletal Treatments (IAMT) to offer a 2-day Trigger Point Dry Needling Course for physical therapists on November 4-5, 2017 at MUSC in Charleston. The full 2-day course offers 20 contact hours. SCAPTA members are eligible to receive a discount on the registration fee. Register by Friday, October 27 to take advantage of the registration discount. Please contact jessica.hopkins@iamt.org for the registration discount code. Space is limited. For more information and to register, visit this web page. Now is the time to help APTA identify its next leaders. The APTA Nominating Committee is seeking recommendations for the 2018 slate of candidates for elected positions. Positions open for election are Board of Directors president, vice president, and 3 directors; and 1 Nominating Committee member. To submit names of qualified members who would be willing to be considered for the upcoming election cycle, visit APTA's Nominations and Elections webpage and use the online form under the "2018" header. Deadline is November 1.